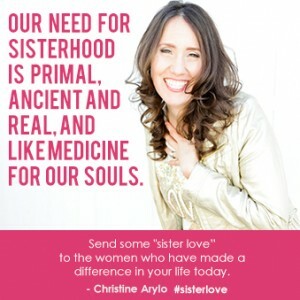 As women, our need for ‘sisters’ goes way beyond our blood relatives. Our need for sisterhood is primal, ancient and real. Then the morning of the last day, we were invited into this structure called “the red tent” (it was actually white in color but I decided not to point that out to the women leaders, and just go with it.) As I surrendered my judgment and stepped into that tent, everything changed for me. It was like entering into a time machine. Fully inside this red/white tent, I saw all of the women seated in a circle, silent, radiating a beauty that comes from a deep sense of inner peace and grace. 1. Take a moment to pause and think about the women in your life who have shaped you, supported you, cheered you on, guided you, inspired you and been there for you over the years. Presence at least 3 women and write their names on a piece of paper. These could be mothers, grandmothers, mentors, friends, blood sisters, soul sister, as sisterhood has nothing to do with age. • How has her presence made a difference in your life? • What would you love to say to her, from your heart? • Reflect the Difference She’s Made in Your Life & Tell Her with a Short Sister Love Note. 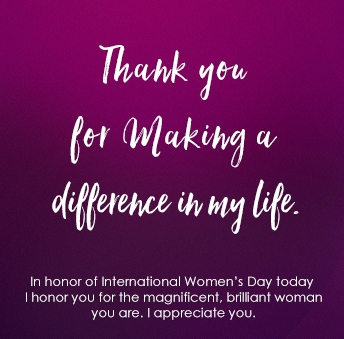 We often think people know the tremendous impact they’ve had on our lives, but most don’t, and most women feel like they are never doing quite enough. Be a mirror to reflect that you really cherish and appreciate how much she matters. Call her or send her a text or email that says specifically how she has made a difference in your life. Being specific makes the appreciation and love get through, so open your heart to her and share. • Admire Her Feminine Power with Flower Power. Since most women are overwhelmed, sending flowers to remind your special sister of her power and beauty is an easy act to take. Plus the flowers will keep reminding her of her feminine power after March 8th! Include some words about the flowers you choose and how they reflect what you admire in her. • Open Her Heart with a Memory That Matters to You. Recount a special moment or more of a special time you have shared that still sticks with you, thanking her the impact she has had on your life and for the place she holds in your heart. Gather up a few photos and email them, reflecting on meaningful memories. Click here to download and share the poster – and give some sister love. Error: Error validating access token: Session has expired on Friday, 19-Apr-19 12:24:14 PDT. The current time is Wednesday, 24-Apr-19 09:47:39 PDT.